From the start, "The Casper" has received high praise from satisfied customers who quickly made them a bit of a social media darling. Backed by great service and a money back guarantee, Casper was soon proclaimed a Consumergiude.org best buy. To say 20​17 has been been an eventful year for Casper would be a huge understatement. We'll take a look at what's happened since January you should know about. 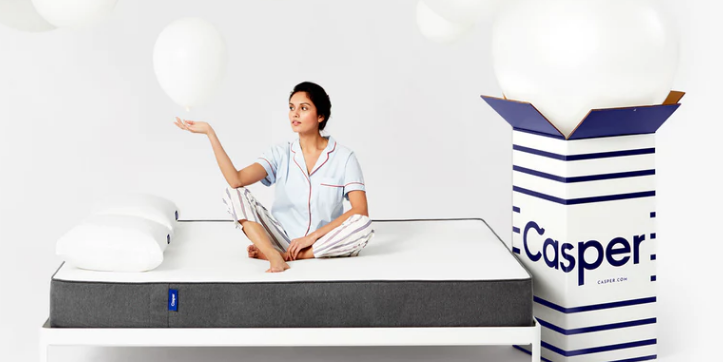 ​Earlier this year, Casper changed the top layer of their mattress from 1.5" of latex to 1.5" of Poly foam. The change was done quietly but it did draw some rather harsh reactions from a few online sources. One particular article chastised Casper for replacing "High quality latex" with a cheaper material. For what it's worth, there is not a whole lot of difference between the current and previous foam. The latex used in the previous version was 100% synthetic. No natural, high quality latex was ever used. That would have added significantly to the cost. Quite frankly, the feel compared to the previous foam is quite comparable. Simply put, this is not a drastic change. Was their a cost savings to the company? Probably. Casper has raised their prices slightly during this period as well. It's been reported these increases were in response rising production costs that are just part of doing business. If this was a new start up, these changes would have come and gone without much interest. But when you are the resident poster child for online mattresses, people take notice of everything. Another thing that has not gone unnoticed is Casper's funding the purchase of Sleepopolis. The buyout comes after a lengthy court battle with the previous owners of the site, Derek and Samantha Hayes. Details of the final arrangement are limited but the end result is the Hayes's are out and JAKK Media is in. Interestingly, JAKK Media also owns Mattress Clarity and Slumber Sage. Watching this scenario unfold, it is understandable why some may see Casper's roll as a conflict of interest. In fairness, Casper and JAKK Media disclosed fully their business collaboration on the new Sleepopolis format. These types of business mergers are actually quite common. 2017 has also seen the introduction both a premium and a value priced mattress to compliment the Casper. 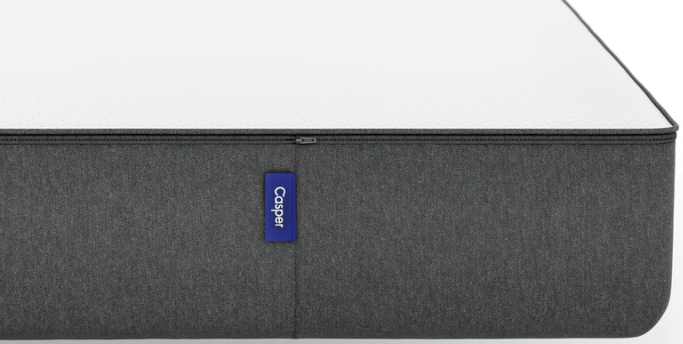 The Casper Essential is value engineered to accommodate the entry level price point. The Wave is a premium mattress scientifically designed to provide ergonomic support. These two new additions promise to strengthen Casper's market share and competitive edge. Stay tuned... Full reviews of both mattresses coming soon! The top layer consists of 1.5" of poly foam. It's intended to offer pressure relief and reduce heat retention issues. This material replaces the synthetic latex of the previous model and offers a buoyant bouncy feel. The second layer is a 1.5 inch layer of 4.0 lb. density memory foam. This is where the Casper gains a bit more pressure relief and conformity. Although the density is impressive, it's a thin layer compared to many mattresses that tout memory foam. But, Casper's goal was to create a universal luxury firm feel. not overly soft, not overly firm. To that end, they were successful. ​The third layer is another 1.5" of poly foam. The purpose is to absorb additional pressure before easing into the base foam. ​The bottom layer consists of 5" of 1.8 lb. density support foam. This 4th layer is designed to provide additional support and stabilization of the mattress. Medium Firm: This feel is usually ideal for a back, stomach and some sleepers. For those seeking an ultra plush feel, this bed will most likely not be your choice. Body type plays a significant role here also. A larger person will perceive this bed to be softer than a smaller individual. Heavier people will be absorbed deeper into the surface of this bed. Casper arives at your door compressed into a box that can easily fit into any home. Shipping usually takes 3 - 5 days and arives via UPS Ground. Carefully, unbox your bed being careful not to cut the fabric while opening. Within minutes, your Casper mattress is ready to go! ​For ease and convenience, bring your mattress into the room it will be slept on pryor to unboxing. Allow mattress to expand while once the foundation. This makes setup super easy! Casper offers a full 100 day Comfort Guarantee. If you do not love your mattress, return it free of charge for full refund! Casper offers free deliveries and free pick up if you are not fully satisfied! Once you get past the hype, what you are left with is a decent mattress. Not a high end luxury bed, but certainly a very good value for the dollar. 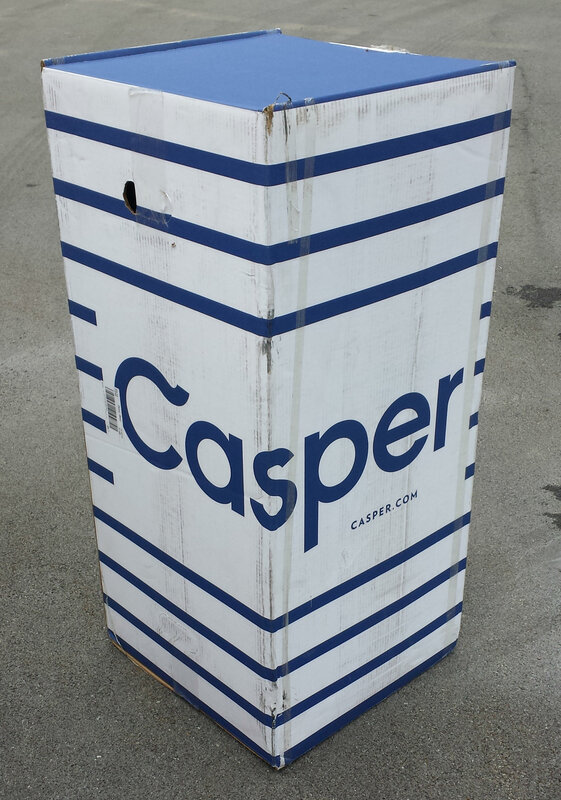 One thing is clear, despite the fierce competition, Casper remains a top name in online bedding. 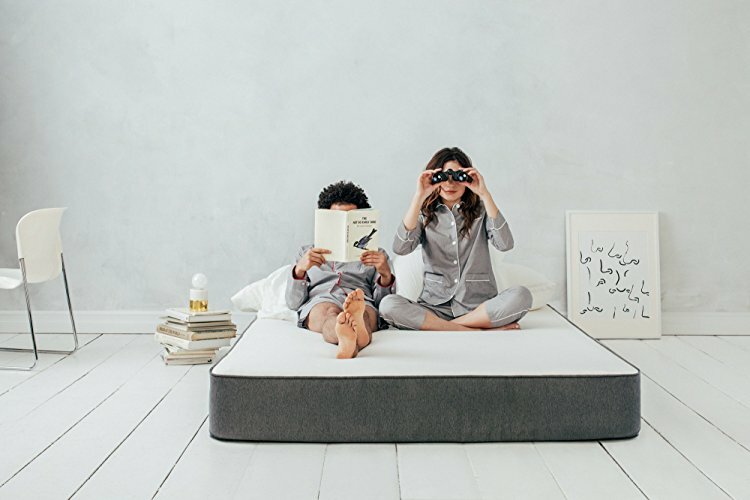 Although no one mattress is right for everyone, Casper's risk free trial makes this mattress well worth considering! The addition of two new mattress options even further strengthens their position. Sleeps Cooler than Memory Foam. More breathable than Visco and less heat retentive. Low motion transfer: This is a great feature for couples. Less disturbance of your partner means a more restful night! Combines characteristics of latex and memory foam. The Casper relieves pressure but maintains a little bit of bounce. Only one comfort option: No one mattress is right for everyone. The Casper is a true medium firm. This is not a bad thing if it suites your personal comfort feel. That said, the mattress may be a bit firm for some side sleepers. If you prefer the feel of a traditional coil spring, you may not care for this mattress. All foam beds have a distinctively different feel. It's a personal preference, not a flaw in the mattress. Is Casper right for you? The Casper is far and away the best selling online mattress. At under $1,000 for a standard queen mattress, it's an exceptional value. I have problems with my back and this mattress truly changed my sleeping experience. I highly recommend it to anyone. I would go for the queen-size if you can you will not be disappointed. Like the feel and quality of the mattress. The mattress pad and sheets fit perfectly will likely convince me to order sheets only from Casper. The mattress was much too firm. I have chronic pain in the small of my back and this mattress seemed to compound the problem. It was much too firm. I could not find a comfortable position to sleep in. I thought the "springy top layer and memory foam balanced comfort" would be the ideal mattress. This was not the case. Haven't slept like this in ages! From Day 1 (actually Night 1), I've had no complaints with my sleep after I've gotten the mattress. If anything, I've been wanting to sleep in more so I can get some more relaxation. In general I've also observed that my sleep is actually less disturbed and bothered by heat / airflow etc. Verdict: Comfortable mattress, though not life changing. Casper needs to work on quality control for both mattress and accessories. I'll start with the good: delivery/unboxing were easy, and I sleep well on the mattress. I feel well-supported and my back doesn't get sore. First off, the innovative way they package and ship the mattress is down right impressive. I purchased the mattress and foundation (queen) at the end of June and it has met or exceeded every expectation to this point. My bed is more sturdy, yet softer and more comfortable.